Creating the perfect room for a home entertainment system means something different for every family. 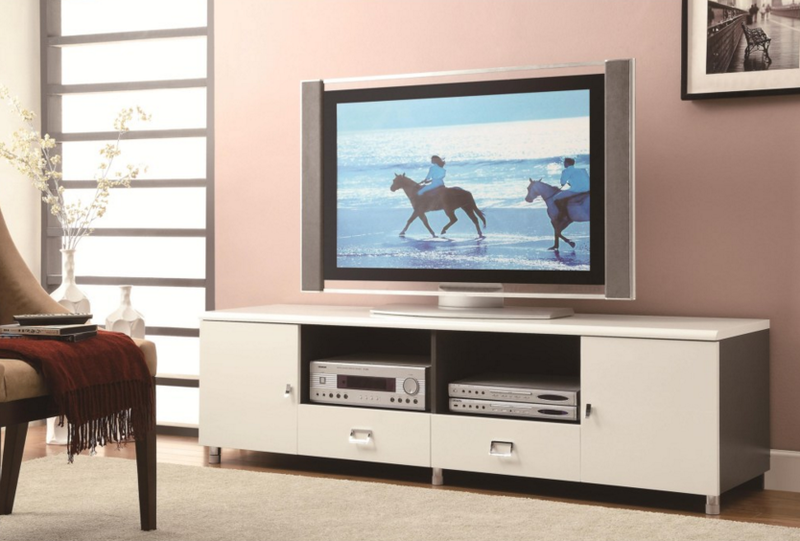 For some households, the home entertainment system consists of an LED television, a sound bar, and a streaming device. For others, it’s a full surround system with a media server and a 100-inch 4K TV. Whether you’re taking over the basement or adjusting the family room to accommodate an entertainment system, a little planning and smart design go a long way. If your home entertainment system if the brain of the room, the furnishings are the skeleton and the people in your home are the heart, and it’s important to keep them in unison when it comes to designing an entertainment room that is comfortable, safe, and enjoyable for everyone. If your entertainment system includes a larger, wall-mounted television, or if your household includes avid gamers, a console or TV stand might be a good choice for your entertainment room. When your TV is wall-mounted, you can achieve a clean, modern look by placing the peripherals like DVR, streaming device, amplifier, on a low console with cabinet doors to conceal the peripherals and open space to display decorative items or books. For many gamers, having the TV on a stand closer to seated eye-level is a must, and a console with drawers helps protect games and keep them organized and out of sight when they’re not in play. If your entertainment room is a multi-use family room, you may find that a wall unit offers more versatile use with additional storage, options for placing the television on a stand or mounting it on the wall, and places to keep fragile things away from small kids and curious pets. Because a wall unit is a natural focal point in the room, its style sets the tone for whatever space you put it in. 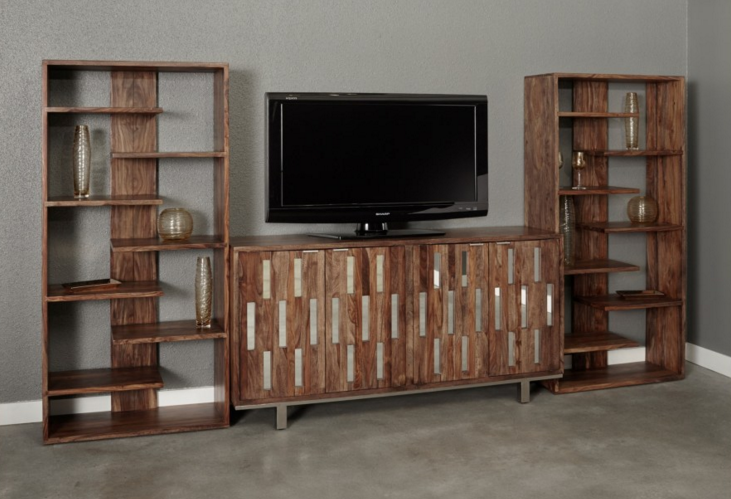 Whether you’re looking for industrial-loft style, or something in a more traditional style, a more rustic and relaxed vibe, or you’ve got a taste for mid-century modern, there’s a wall unit that’s right for your home entertainment system, storage needs, and budget. Many people love the look and feel of a fireplace, but let’s face it, combining the heat of a fireplace with delicate electronics can be a dicey proposition! One feature that some furniture manufacturers are beginning to offer in wall units and consoles is an electric fireplace insert. You get the warm and glow of a fireplace without worrying about whether the anchors for your TV mount will puncture the chimney, and you won’t need to shovel out the ashes in the morning. The electric fireplaces feature thermostatic controls and a safety switch that shuts the unit off if it should overheat, and a quiet fan gently wafts the warm air into the room for you to enjoy. 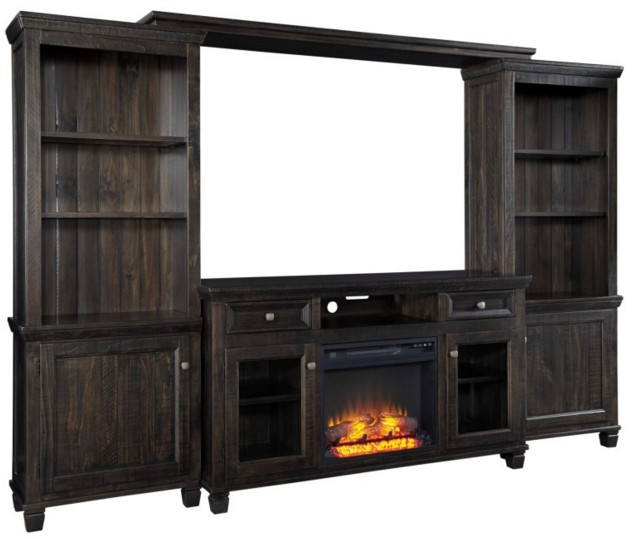 Some units, like the one in the Townser Entertainment Center by Signature Design by Ashley have realistic glowing log inserts, while others, like the Porter Entertainment Wall Unit by Millennium feature crushed glass to give an adjustable glowing flame effect. If movies are your thing, and you’re serious about enjoying them to the fullest, your perfect home entertainment system room might include theater seating. 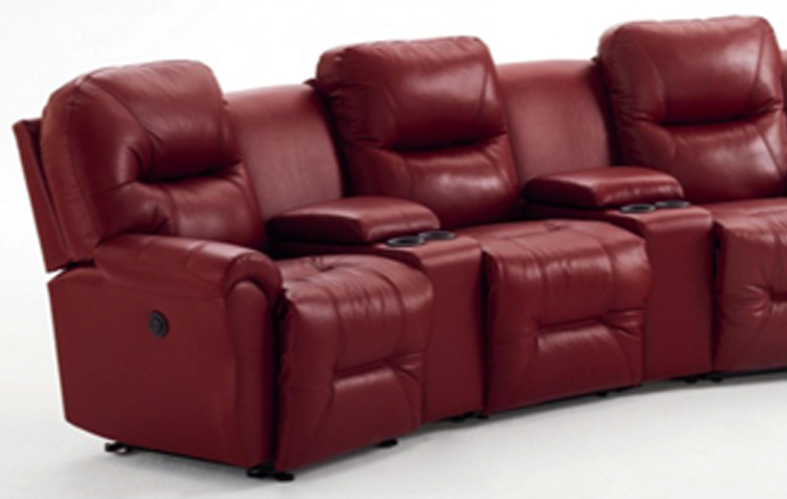 If you’re building out a basement, you could install rows of Pavilion Contemporary Leather Theater Seating, which recline and feature high backs with adjustable headrests for ultimate comfort, and armrest cup holders for convenience. 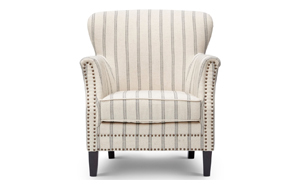 If you’re working with a smaller space, or you want to create a more intimate seating arrangement, the Bodie Collection by Best Home Furnishings offers power-reclining theater seats in arc-shaped groupings of three of four seats, and upholstery in lush leather or your choice of hundreds of fabrics. Each seat has access to a console box and armrest cup holder. Would You Like Even More Options? 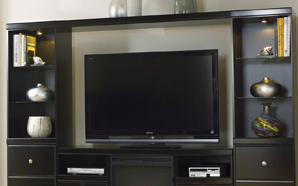 If you have questions about design options or the right kind of furniture to build the perfect room around your home entertainment system, come visit a Value City, NJ store. 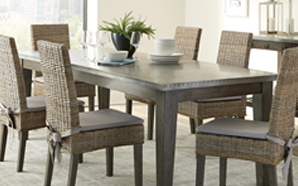 We’ll help you create the room that’s just right for your home and family!